Since their inception way back in 1837 Hermès has mastered many arts; saddler, leather crafter, fashion house and watch-maker. 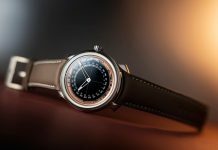 Now it seems Hermès are completing their evolution by moving into the world of haute horology with the launch of the Hermès Arceau L’Heure De La Lune for SIHH 2019. Launched as two versions, the Arceau L’heure de la Lune is available with either a aventurine dial or the more appropriate option, meteorite. 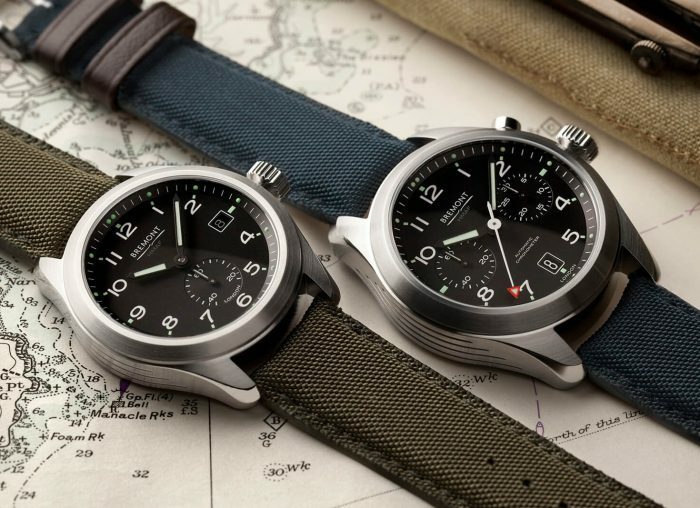 Each dial finish is limited to just 100 pieces bearing their own unique number. The time is displayed by two minute and hour floating discs decorated with those quirky Hermès numerals we have come to know and love. These seemingly hovering discs partially cover, or not depending on the time of the month, mother of pearl spheres depicting the moon in both the northern and southern hemispheres. 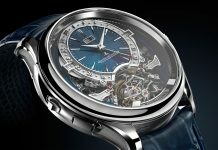 Inside, the L’Heure De La Lune is powered by the Hermès self-winding in-house H1837 caliber which beats at a frequency of 28,800vph, while the motion of the moons is controlled by a patented module created by Mojon. 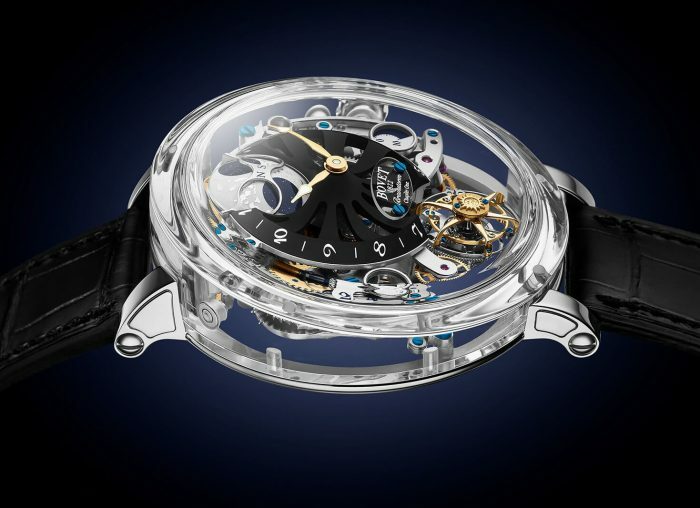 The classic case shape, which has been in existence since Hermès started making watches in 1978, measures 43mm and is made from 18kt white gold, beautifully offsetting the deep blue aventurine and meteorite finishes. 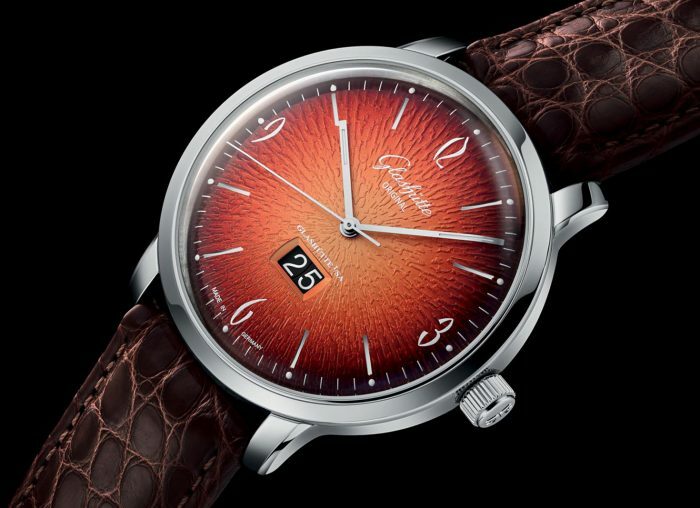 The Aventurine dial version comes with a matt abyss blue alligator leather strap whereas the meteorite dial is paired with a graphite grey alligator strap. 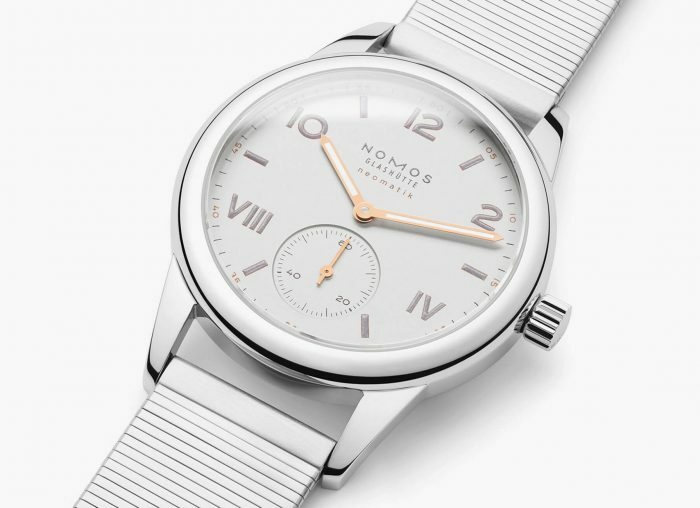 The Hermès Arceau L’Heure De La Lune retails for CHF 26,000 and will arrive this spring at select Hermès locations. Discover more at Hermes’ website. 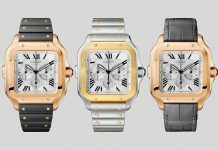 Share the post "Introducing the Hermès Arceau L’Heure De La Lune Watch"